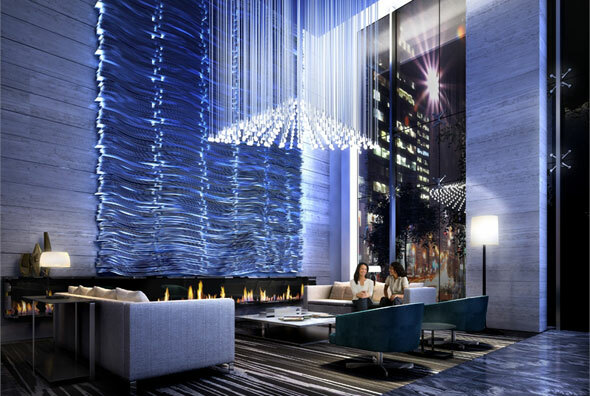 King Blue Condominiums will bring a couple of new condo towers to King West. What a novel idea, eh? Easton's Group has unveiled its plans for two towers at King and Blue Jays Way — a project that will incorporate the restored Canadian Warehouse Building and the new home for the Theatre Museum of Canada at its base. King Blue boasts lots of amenities, lots of stylish finishes, and lots of extra fees, with room for thousands of new King Street residents and parking and lockers for just an elite few. Here's a closer look at King Blue Condominiums. Finally. Someone's paying at least a little bit of attention to that place where — you know — you might actually spend most of your time (not to say that King Blue's marketing material isn't absolutely doused with vapid "lifestyle" speak, but nevermind). The suites in King Blue actually appear to be livable, and yes, the bar really is now that low. But credit where credit's due. With the exception of the studio suites, all King Blue units include bedrooms with windows and actual hinged doors (see "bar is now that low," one sentence back). There are little exceptional touches, too, including rough-ins for wall-mounted TVs, marble accents in bathrooms, and oak hardwood flooring as standard in all suites. And while the kitchens (read: wall of appliances) don't offer much by way of counter space, kitchen islands do come included with all King Blue units. It's still a 500-square-foot shoebox in the sky, but at least it comes with a spot to chop onions. The location of the King Blue is great in terms of TTC accessibility, because unless you want to fork over the cost of an Audi A5 for a spot to park your Toyota Camry, you're going to be relying on the streetcar. The Spadina car is just steps away with the King streetcar right outside your door, and you're close enough to St. Andrew Station that you could probably just walk over on a mild day. And though the exact address of King Blue Condos is dangerously close to the Entertainment District heart (complete with obnoxious weekend limos and endless choruses of "OhMyGAWD heeey!") if you keep your eyes south and focus on Blue Jays Way, you'll feel more "Wellington" than stretchy weekend clubwear. Just ignore the odd spattering of Saturday evening sidewalk vomit. 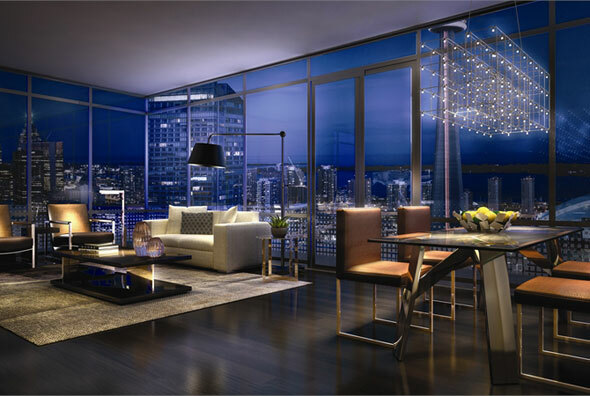 And more an FYI than a distinct pro or con: prospective buyers should prepare to pay somewhere in the low/mid $600 range per square foot for a King Blue condo. That's not cheap by any means, of course, but it's also not as absolutely ridiculous as you'll find with some other new condo builds. 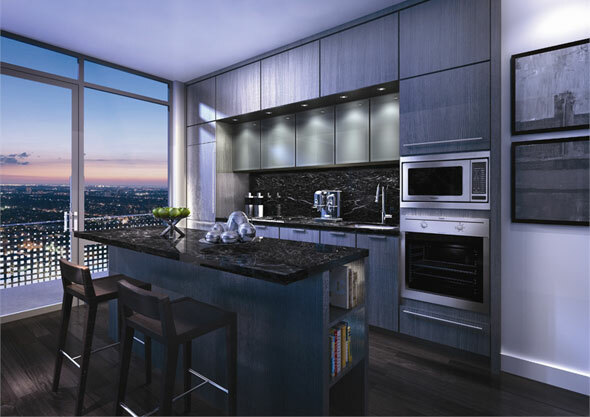 King Blue Condominiums joins the sorry ranks of E Condos and INDX Condos for its poorly-veiled cash grab. Back when I was young and naÃ¯ve, I used to believe that monthly maintenance fees were used for, among other things, garage and locker room upkeep. Apparently not. King Blue will be charging its residents close to $115 per month to purchase a parking spot and locker in the building, because sweeping out the locker room can get very expensive, you know. It's also exceptionally odd that lockers are reserved for units above a certain size, since residents of the smallest suites would be the ones, ostensibly, with the greatest need for external storage. Go figure. 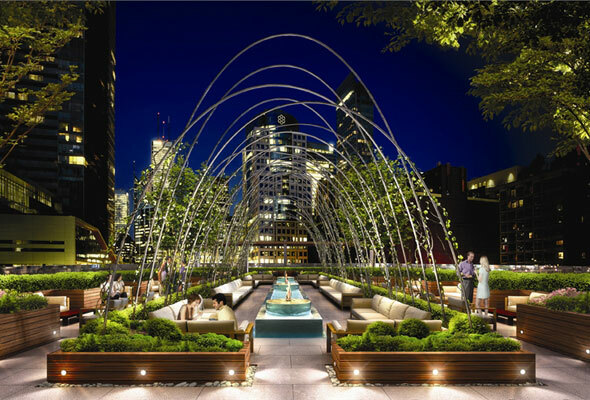 King Street West seems the "IT" girl of 2012, with developers all pining to get their hands on a piece. 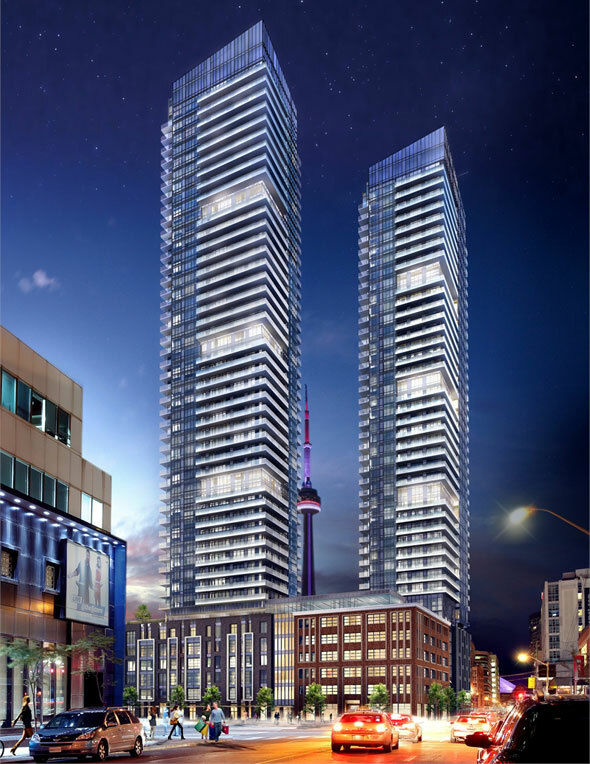 There's King Blue Condominiums, of course, plus the two Mirvish towers planned for down the road, Theatre Park next door to them, and the condo slated for 321 - 333 King Street West, to name a few. The influx of residents hopefully means the area will get a decent grocery store sometime soon, but it certainly confirms that density is poised to swell by the time the occupancy dates roll around. Increased density, naturally, means more traffic, more sidewalk congestion, a greater stain on public transportation, and a terrible time for the pizza delivery guy with nowhere to stop on a Thursday evening. Plus, it sort of complicates things from a value perspective. How can one justify spending $400,000 on a fairly unremarkable box in the sky when there are literally thousands of others just like it down the street? Good luck, marketing department; I wouldn't take your job. You could do worse on King West. You could also take the sum of your parking maintenance fees alone for a couple years and go on a really spectacular trip to Europe. Your call.